Five Farms, the makers of a a new Irish cream liqueur are thrilled to announce their partnerships with two of the largest Irish festivals in the world, Kansas City Irish Fest and Milwaukee Irish Fest. I love to support Irish businesses and help spread the word about their products whenever I can, so when the good folks at Five Farms contacted me to let me know about their plans for expansion throughout the United States, I thought you too might be interested. Five Farms is the highest-scoring Irish cream in history and will be the exclusive Irish cream at both of these celebrated Irish festivals this summer. 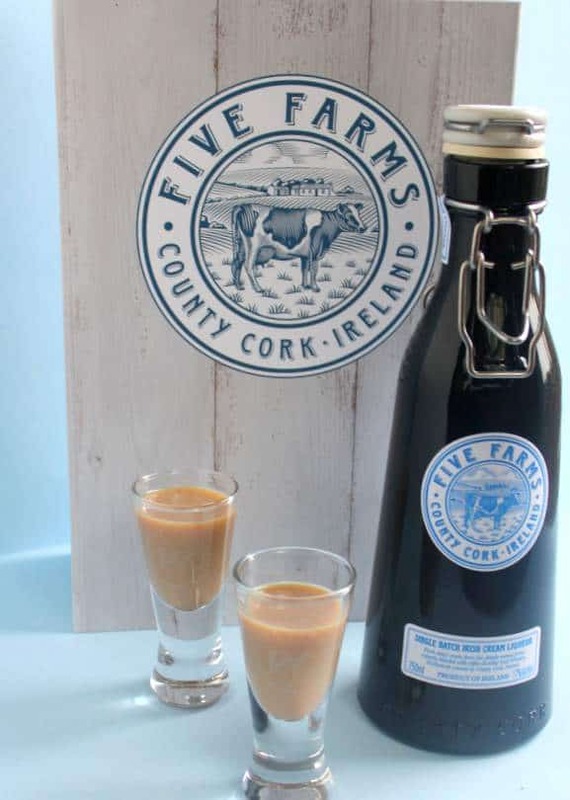 Five Farms is a single-batch Irish cream liqueur from County Cork, Ireland, that derives its name from the five family-owned farms in the region that provide the product’s rich dairy cream. 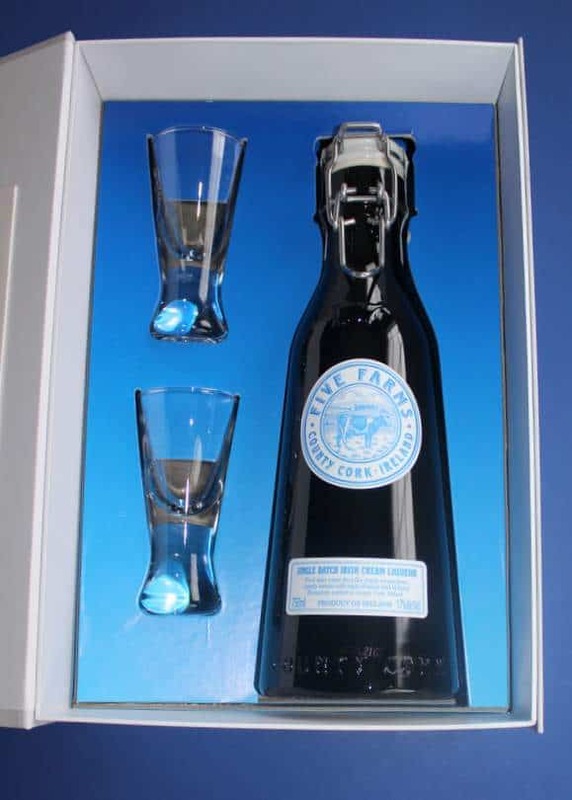 It contains ten-year-old, triple-distilled Irish whiskey, providing an intensity of whiskey flavor that sets it apart from every Irish cream in the world. Five Farms contains 10% Irish Whiskey while most brands use less than 1%. This difference is significant, especially if you are a fan of Irish Cream. 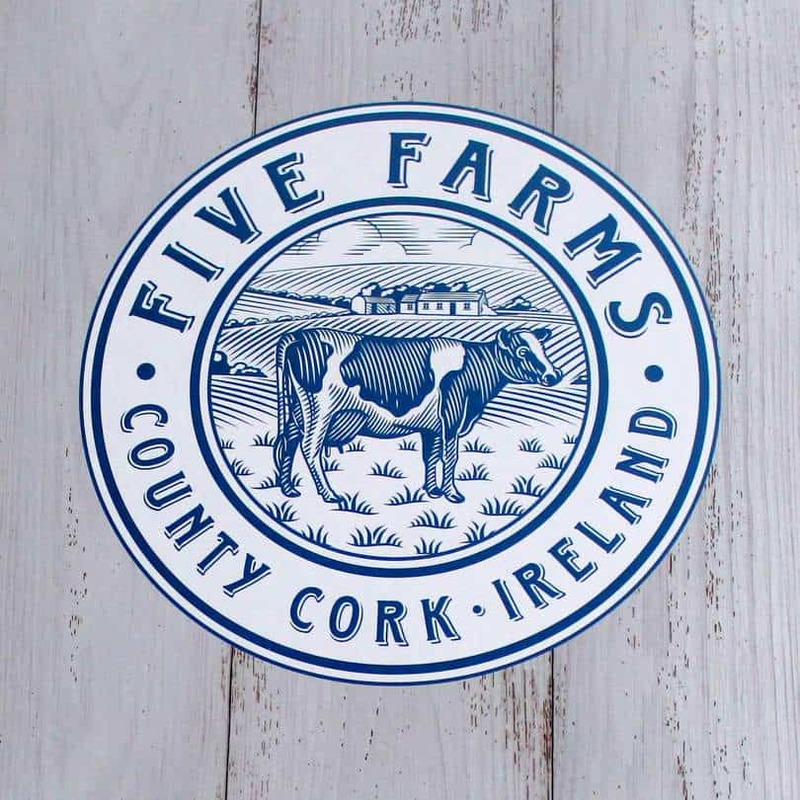 Five Farms is a true farm-to-table product, crafted from single batches of fresh cream that are combined with Irish Whiskey within 48 hours to become authentic Irish Cream Liqueur. 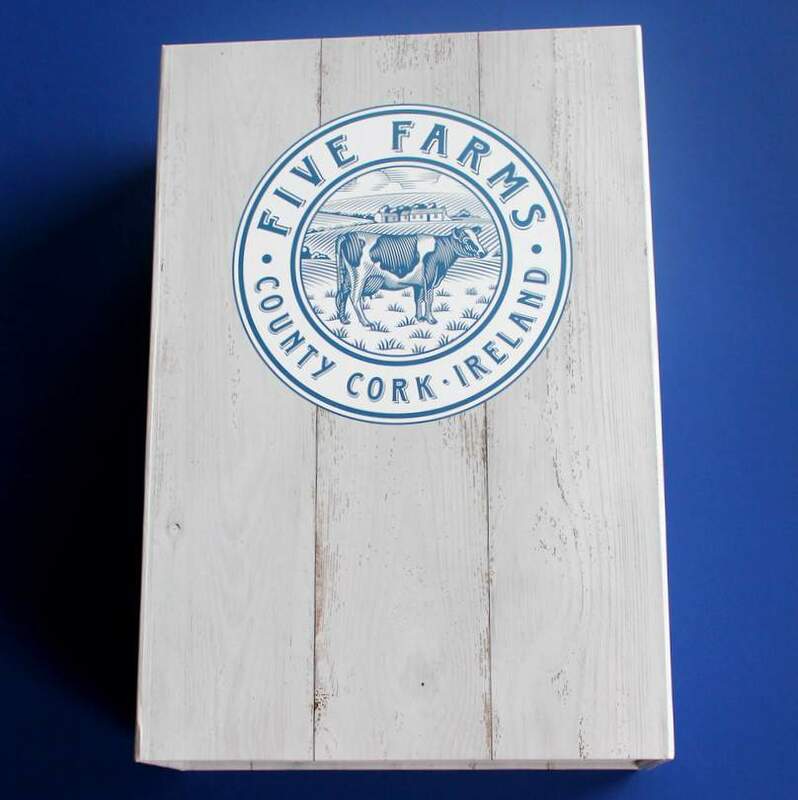 Five Farms is made with rich, smooth and sweet Irish dairy cream. The mild climate and abundant rainfall in County Cork make it the ideal place for raising dairy cattle on fertile farms of lush green fields. These happy cows spend their days basking in the fresh sea air and grazing on sweet, succulent green grass. Ireland’s cows produce the highest quality milk and cream which is very evident to the taste buds when sipping this delicious drink. 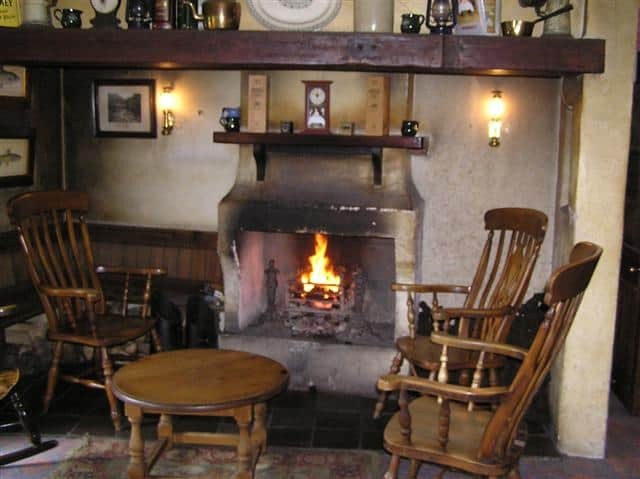 County Cork is also home to the centuries-old tradition of distilling authentic Irish Whiskey. Premium triple-distilled Irish Whiskey has a smoothness and complexity that add depth to the sweetness of this Irish Cream. Five Farms sent me a lovely gift set of their Single Batch Irish Cream Liqueur. The moment I opened the box, I fell in love with their quirky milk churn bottle, plus it came with two perfectly sized glasses for sipping Irish cream. This gift box is beautifully designed, and after falling in love with the presentation, I was equally bowled over by the flavor of this delicious liqueur. It’s rich and creamy, with a satisfying whiskey flavor. This liqueur has a lovely nutty brown color. This Irish cream is luxuriously smooth, and then the best part of all, is the boozy warmth of the Irish whiskey balanced to perfection with notes of caramel. I definitely give it two thumbs up, and my husband quickly raised his glass for a top up after enjoying his first taste of this distinctive Irish cream. Five Farms is imported to the United States by Holladay Distillery in Weston, MO, the oldest business in the Kansas City area. The brand launched in Missouri in December and was immediately embraced by the local Irish community. A partnership with Kansas City Irish Fest was a natural extension of this relationship. “We’re always excited to introduce new products to our guests, especially when they have a connection to Ireland and Kansas City! It’s absolutely a winning combination for our festival,” said Keli O’Neill Wenzel, Executive Director, Kansas City Irish Fest. The Kansas City Irish Fest is scheduled from August 31st to September 2nd, 2018. Tickets are available on the Kansas City Irish Fest website. Five Farms launched in Wisconsin in February and has been equally well-received there. The state is home to Milwaukee Irish Fest, the world’s largest celebration of Celtic music and culture. Now in its 38th year, this four-day festival will showcase more than 100 entertainment acts on Milwaukee’s lakefront. “Milwaukee Irish Fest is excited to launch our partnership with Five Farms and exclusively provide it on the festival grounds,” said Mike Mitchell, Executive Director, Celtic MKE. Milwaukee Irish Fest takes place August 16 – 19, 2018 and tickets are available at the Milwaukee Irish Fest website. The brand has enjoyed a successful early launch in Missouri and Wisconsin, and was awarded the Chairman’s Trophy at the 2018 Ultimate Spirits Challenge with a score of 97, the highest score ever awarded to an Irish Cream at this prestigious competition. Additional states will launch in August and September, with availability in 30 total states by October and full national distribution by early 2019. But in the meantime, if you’re going to be around Milwaukee or Kansas City, you can stop by the Irish Festivals to taste a little of this delicious Irish Cream Liqueur. And if you like to create delicious desserts with Irish Cream Liqueur, then I highly recommend Five Farms. This distinctive mellow whiskey blend is perfect for Irish Cream Cheesecakes, or any dessert creations that call for an Irish Cream liqueur. 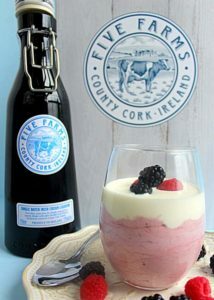 I developed a delicious Berry Irish Cream Mousse recipe using Five Farms. The mellow whiskey of Five Farms Irish Cream blended magnificently with this no-egg, cream based berry mousse. It’s a perfect summertime, no bake, easy dessert. Wishing the Irish families whose five farms in West Cork, Ireland supply the cream for this Irish Cream Liqueur, every success with their new business venture. Disclosure Notice: I received a free gift box of Five Farms Irish Cream liqueur to try and I used it to create a Berry Irish Cream Mousse. I did not receive any sponsorship payment for this post. The views expressed are my own. I can’t wait to taste this Irish Cream! It sounds wonderful! 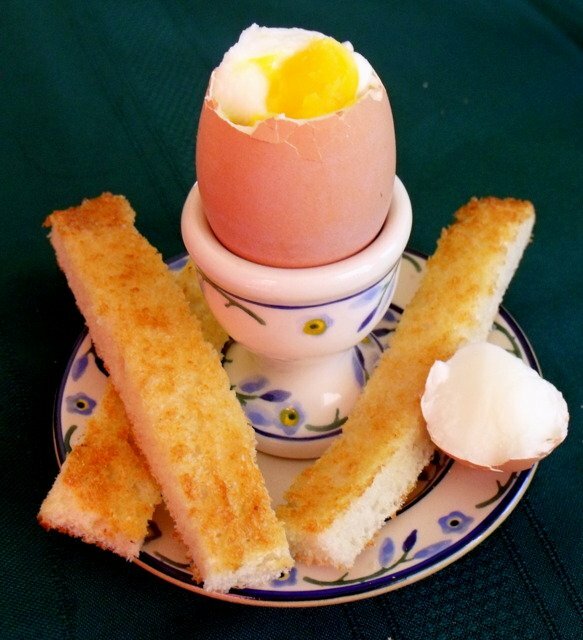 Thanks so much for posting about it Mairead! Hi Maury – I was delighted when the folks at Five Farms contacted me to let me know about their expansion into the US market. It’s always lovely to see small businesses growing and thriving. And if you like the flavors of Irish Cream, this blend will not disappoint. I can truly say it’s the nicest Irish Cream Liqueur I have ever tasted. I’m looking forward to Five Farms making it to Colorado- can’t wait to taste it. Hi Eileen – After tasting this delicious liqueur I’m very confident it will be a resounding success in the United States. hi maury I was hoping I could order a few bottles but ur not shipping to texas for a few years it seems…so sorry to since my family is from county cirk.is there a place I can order it from??? I’ll touch base with the company, Bill and get back with you here. Hi Bill – I just heard back from Five Farms and the good news is that it will be stocked in some Texas liquor stores by mid-September depending on the city. Unfortunately Texas liquor laws do not allow for mail ordering spirits so there is no way to order online. I hope this helps. I’m like everyone else here, I can’t wait to try FFIL and your recipes! You are doing Ireland proud! There are many small businesses growing and developing throughout Ireland. Wishing these farmers every success with this endeavor. Oops! I forgot to ask if you have any idea on when FFIL might make it to Tennessee? Hi Jeff – I’ll email the company to see if they have a planned delivery date for Tennessee. They’re at the Irish Fest this weekend, so I’ll get back with you next week. Hi Jeff – Tennessee distribution will start in mid-October. Once it is available there, you’ll be able to go to http://www.fivefarmsirishcream.com/tennessee to see a list of stores where it is on sale in the state. I hope this helps. Mairéad, I’m a Kansas girl born and bred, but I didn’t know that KC had an Irish festival. How neat! We hardly ever go to KC though because we’re on the very southern border of southeast KS (we go south to Tulsa when we want to go to a bigger city.) Hope you and yours are enjoying the fleeting days of summer! 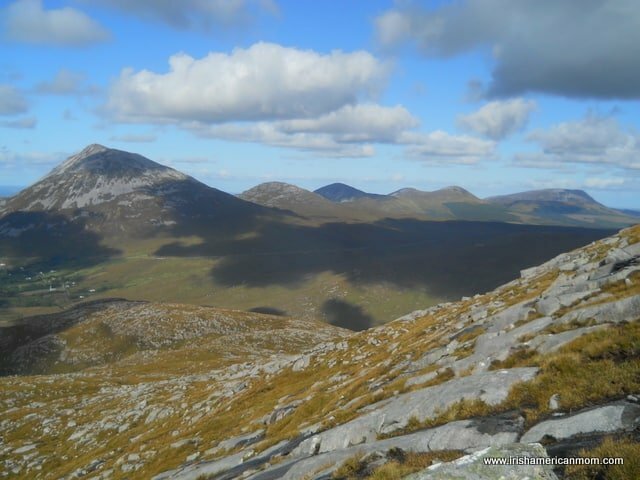 Hi Cheryl – How wonderful that this post introduced you to the Irish Festival in your home state. Summertime is busy for Irish Festival vendors, since there are many scheduled all over America. 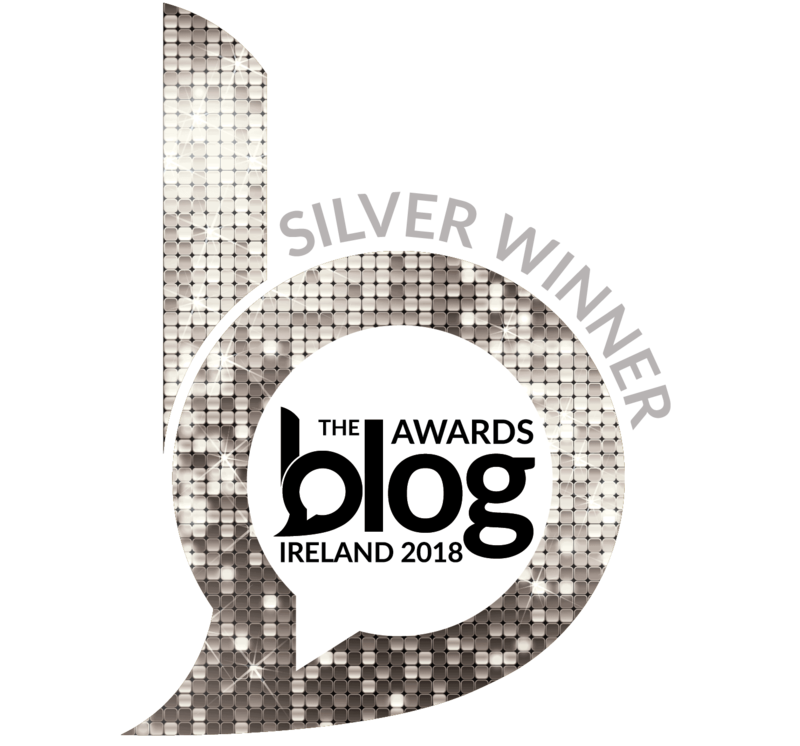 Next year I should share a list and dates of Irish Festivals with readers here on my blog. I drove through Kansas City this year with my family on the way to Mount Rushmore, and Yellowstone in Wyoming. We then drove home from Denver, right across the state of Kansas. It was amazing to see how vast the prairie truly is. I kept thinking about those that trudged across the prairie on wagon trains long ago. I hope you too are enjoying your summer. 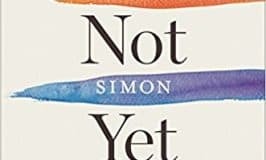 way to order this wonderful product! And from our own Co. Cork! 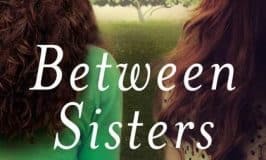 Always love finding out new things on your blog, Mairead! Thank you and, as always, God bless you!